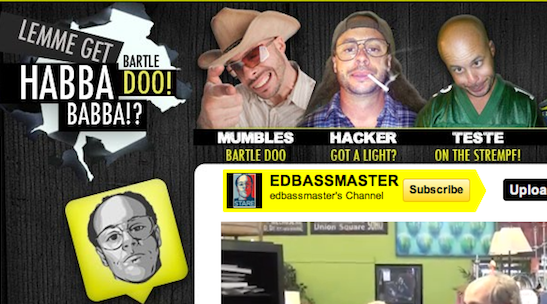 EdBassMaster Upgrades Design and hits over 480,000 Subscribers! We always watched EDBassMaster's Youtube Channel for his epic comedy skits. So, one day we thought we would ask Ed if he'd like to take his branding to the next level with a "YM Design". After not much deliberation we got to work and delivered one of the most dynamic youtube layouts ever created. With eight hilariously unique characters featured across the top of the layout - Ed was blown away. Now with over 440,000 subscribers and 169,953,071 videos views on youtube, Ed has begun to help other small businesses leverage the power of youtube to share humor and value. Check back for Video Testimonial Coming Soon!